Some of you may have noticed I added a new logo in the column to the right recently. The company is called Generation UCAN, and I was introduced to them back in November at the Running Event in Austin. If you read my review of the event then you heard me allude to them having a great product, and that is a sentiment I still maintain. I’ve been using UCAN ever since that trip, and I owe a lot of credit to the product for my performances. Part of me wonders if I can just say, “It’s great, I love it!” and leave it at that, but I have a feeling you guys wouldn’t be too happy if I did. I guess that means I’ll expand on my thoughts so if you want to hear about a product that can revolutionize your sporting performances then read on. If not well then you just might be more bull-headed than I am, and that is saying something! UCAN is a great new company that comes from an honest background. A young child had a rare metabolic disorder that kept his blood sugar levels from maintaining a steady level. This poor kid had to be fed every two hours or face life-threatening consequences. This problem even extended to his ability to sleep through the night. No matter what the clock said, this little guy had to eat every two hours. Great things are often found in the midst of necessity, and the powers of UCAN are no different. This little guy needed something to help stabilize his body so he could live instead of merely survive, and after a lot of fund raising and research an answer was found. The secret to this boy’s problem was Super Starch. This Super Starch is a complex carbohydrate that breaks down slowly over time and doesn’t cause spikes or crashes in your energy levels. The problem with most energy supplements is the way they approach the system. They enter quickly, spike the blood glucose levels, and cause a subsequent crash, which then creates the need for re-dosing, or you’ll be left at the base of this crash with nothing. If you’ve ever used energy pills or drinks then you know what this crash feels like, and in the midst of a race or long training run it can be the end of you. The Super Starch breaks down slowly and keeps your energy levels above the baseline longer than traditional energy drinks. I’m not sure I can fully express how beneficial this is, but it’s pretty much the most amazing thing ever. One major issue I always had with energy supplements was stomach upset. An energy pill, drink, or carb gel usually sent me looking for a potty within 20 minutes of taking it. To be completely frank this has actually left me squatting in the woods on a local running trail because a carb gel really worked a number on me. The reason for this is due to chemicals and enzymatic manipulation that goes into these products. The idea is that the product needs to get metabolized into the system quickly so you can feel the effects and reap the rewards. This is great until you have to also hit the point where you pay the piper, which in this case is your gastrointestinal system. UCAN doesn’t have to employ any of these tactics so there is no backlash in the intestines. UCAN boasts a high molecular weight and low osmality, which makes it easy on the stomach while providing a time-released glucose profile. What does that mean exactly? Well it means you’re not going to get the runs, and the energy is going to last longer. Pretty fantastic. So what is UCAN exactly? It’s a drink mix. It comes in two formats and four flavors. The first is the basic pre-workout energy drink that you mix with 8 ounces of water and comes in Lemonade, Pomegranate-Blueberry, or Plain flavors. The second is a post-workout mix that includes 13 grams of protein per serving and comes in Vanilla and Chocolate flavors. I find that taking the pre-workout drink about 15-30 minutes before a run or training session gives me a great energetic feeling, and the protein mix is a great way to cap off the workout so I get good liquid nutrition to support recovery. I have honestly never felt better on a run or in the gym, and I’ve had nearly 15 years of experience in the sports supplement business, which means I’ve pretty much tried it all. When you use it you don’t get that hyped up jittery feeling but more of an “I feel great” sense about you. Once I start my run I feel like I could do it all day, and that feeling takes a long time to go away. For me personally I notice that feeling for a good eight miles before I even have a sense that I’m actually out working on a long run. I’ve also found that you can mix it up and carry it with you for those really long runs where you need a pick me up. I really cannot say enough or properly describe just how good you will feel when you add this stuff into your routine. I know a lot of you may use energy drinks for daily activities as well. Maybe you like a big Monster or Red Bull during your day to get you through the office grind, or perhaps you are just feeling sluggish from not getting enough rest. UCAN has you covered there too. It can be used as more than just a sports energy supplement, and I’ve tested this with a lot of success. I used to take a Five Hour Energy shot from time to time to get me through a long shift at work, but I don’t need it anymore. I actually liked the Five Hour Energy shots and always felt they worked really well. I don’t use them anymore because UCAN gives me the same results, and I can get some good nutrition from it at the same time. That, my friends, is called a win/win. So is UCAN just an energy drink? Absolutely not. On top of being a great source of carbohydrates and energy it also supplies above average amounts of Sodium and Potassium, which can also keep you going on those long runs. It also does this while boasting a zero in the sugars column! That is a pretty outstanding statistic, but that means something more than just saying zero sugar. The Super Starch actually encourages your body to utilize fat more as an energy source due to its ability to deliver energy without the sugars. This works because the Super Starch doesn’t cause an insulin response because you’re not pushing a ton of sugar into your body. If you’re a diabetic then you understand the importance of what I just said and yes, that means this is a great product for you, too. So let’s see, have I said enough about UCAN yet? Oh wait, no I haven’t. I love this product so much that I got in touch with them and told them that I have to work with them. Now me being the insanely important person that I am (this may just be in my own mind) they were excited about a partnership. That partnership is a direct benefit to you in the form of a discount. The UCAN logo on the right is more than just a pretty picture of something that I love and believe in. Clicking it will take you to their product page, where you will enjoy a 10% discount on your product purchase! I do not get paid or earn commissions on your purchases, just in case you were thinking I was selling out, but instead it’s an opportunity for you to get a price break on an outstanding product that I promise will change the way you train and perform. If you want more information then go check out their site here where they are brave enough to list all the science and the details behind this great product. Just remember you have to come back here and click on the logo to get the discount. 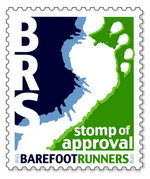 Posted by gobarefooting on April 24, 2011 in Reviews, Running Gear. I tried this myself. Given that we live in an era of instant gratification, I was expecting an incredible hulk-like explosion of energy; thus I didn’t feel its efficacy. Sometimes when it comes to healthy habits and nutrition, it’s more about what doesn’t happen that is important. For instance, “eating healthy” is not only important to look your greatest but it’s the not being sickly part that is critical (headaches, high blood pressure, depression, chronic low energy levels, and you name it). With my sample of this stuff, I got through a longer run and it took reading this post by Jimmy to realize: “You know what: I didn’t have the shakes and I wasn’t completely ravenous after I was done.” I began expecting to go through the run blasting like superman but what I didn’t realize was I wasn’t dead like I normally would be after-the-fact. This is a good point. I don’t think this (or any other purely nutritional supplement) is going to be a magic bullet. For that, you need to speak to Barry Bonds’ pharmacologist. I’m finding that Ucan IS helping me to have good days a lot more often, in terms of workout energy and performance. It’s still me–it’s just me on a good day. Just ordered a case of the UCAN chocolate protein mix. Any word on what its like? I think it’ll work since i have a high metabolism and somewhat similar to the child that need to eat every 2 hours… I need to eat about every 3 hours to feel healthy. ( except when asleep. I love the UCAN as a post workout protein drink. I think it can also be used in a meal replacement format but maybe not on it’s own. I’ve mixed it with things like oatmeal and smoothies with great success and it tends to taste pretty good too. I’d love to hear what you think of it after you’ve tried it some as I’m always curious to see what other people think about the products that I review. I had a client ask about UCAN. I’ve had highs and lows from some sports products (some seem to take away my energy). I’d love to try this. 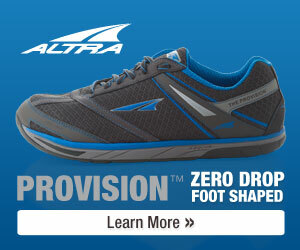 Is it enough calories to use just this for long (20+) mile runs? Wow! I tried the Pomegranate Blueberry before speed work this morning…the flavor was good and in spite of limited sleep, I had the best speed work out since I started them 2mo ago! We did a mile warm up, 400, 400, 600, 800, 400, 400 and a 2 lap cool down and my last 400 was the fastest of them all, a personal best AND I still feel great! It’s not over powering. I’m not jittery. I just feel energized with lot’s left in the tank and my stomach feels fine. I’m hooked! Can’t wait to use it for my 12 mile run tomorrow! This product does not deliver a burst of high energy. What it does, is provide a steady level of energy that keeps you going a long time. I am a 66 year old tennis player. Normally after about an hour I am wiped out. The UCAN keeps you going for that second hour. No stomach problems, no after effects. It works. I hate the flavors, but chocolate seems the best of the group. I agree completely and that is exactly how I describe UCAN to people. You won’t feel anxious or jittery when you take it but when you take off you feel like you could do that all day. Isn’t this “SuperStarch” just a glorified corn starch that’s not GMO? what is the big deal? This seems like a bit of a scam and nothing but a marketing ploy. Do they have a patent # locked down yet for their heating process or is it still ‘pending’? This is a huge red flag to me. For any kind of glucose supplement doesn’t > $2.75/ serving seem REALLY excessive, especially corn/ maize wax base like this? Buying generic Argo cornstarch in bulk can go for < $1/ POUND. This seems much more appropriate for the loooong trainers (multi hour marathoners and the like), but not so much every day Joe at the gym who gets an hour or even 90 minutes in for a workout. I have no idea if the process is patented or not but I’m sure that’s info they would readily offer to you. I’ve found the people at UCAN to be very open and friendly. I also don’t think the price is high at all based on the market and the products it’s replaced for me like GU. Just buying cornstarch isn’t the same thing so I don’t think it’s a comparison to be made. I’ve used UCAN for efforts as short as 3 mile runs and thought it was great because I felt great. I’ve used it for weight training and also as a mid-day pick me up in place of an energy drink or energy shot. I talk and work with a lot of top dietitians who recommend the product and use it with their clients for weight and energy management. The fact that it’s not just corn starch but also has electrolytes and some versions have protein makes it more worth the asking price.